Any visit to Lake Worth, Florida would not be complete without a trip to Oceanfront Park Beach. With gleaming white sand and gentle waves, this pretty beach is a top location for visitors. Lake Worth Lagoon and the calm waters that surround the area are perfect for swimming, boating, fishing, and simply enjoying the gorgeous Florida weather. The city of Lake Worth is located in Palm Beach County and is home to about 40,000 residents. When you are suffering from a dental emergency, Lake Worth is a great place to find a new emergency dentist. Take a look at the Emergencydentistsusa.com website to begin your search for a great new Lake Worth emergency dentist. Our comprehensive website provides you with the information that you need to make a good decision about your dental care. Find dental offices that employ general dentists, orthodontists, periodontists, and dental surgeons right at your fingertips. The Emergencydentistsusa.com website also offers driving directions, services offered, and even insurances accepted at each dental office listed. Click on your new emergency dentist and make that first appointment. Need a little extra help finding a Lake Worth emergency dentist? Call our 24-hour dentist finder hotline to be connected with a caring agent who is standing by to give you the guidance you need to pick a new dentist. He or she can also set up your first dental appointment and give you driving directions to the dental office. This service is always toll-free. Remember to bring your photo ID and your dental insurance card with you to visit your new dentist. Arrive early so that you have plenty of time to fill out the new patient paperwork and ask any questions that you might have for your new dentist. A visit to Lake Worth is a great way to enjoy the best of Florida’s beautiful weather and sunny beaches. This town is also a great place to find a new emergency dentist. Scroll down to choose one of our favorite Lake Worth dentist’s below. 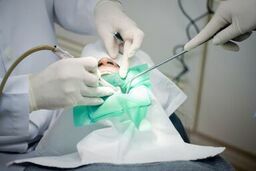 Description: Offering both restorative dental care and cosmetic services, Dr. Hernandez is a favorite in the Lake Worth area. A caring staff makes each visit a pleasure. This dental office also provides bridges and crowns, bonding and white fillings, and extractions. Description: Emergency Dental is the right choice for anyone experiencing a true dental emergency. This full-service dental office provides everything from extractions to root canals and cosmetic services. Flexible hours make it simple to get in and out when it comes to handling that dental care quickly. Description: From periodontal treatment to complete same-day tooth replacements, Palms Dental Care is a full-service dental clinic. Caring doctors and a kind staff make each visit a pleasure. Restorative dental care and general dentistry are all available at Palms Dental Care. Dealing with a terrible toothache is definitely a painful experience. If your tooth pain lasts more than an hour or two, it is time to head right over to your Lake Worth emergency dentist. Keep in mind that dental pain that begins with a fall or a sports injury should be assessed by a medical doctor. Visit your nearest hospital emergency room or urgent care center for prompt treatment and follow up with your favorite Lake Worth emergency dentist. The Florida Dental Association website is designed to make it easy for you to check your new dentist’s current licensing and credentials. Just log onto the website and enter your dentist’s name in the search box. Press enter to view licensing and credentialing documents right online. You can also find this information by visiting the dental clinic prior to your first appointment. Most dentists keep their current license on display in the dental office.